Thousands of universities & institutes are scouring social media for prospective students, tracking applicants from initial engagement through the entire student lifecycle, and managing information across departments to effectively target the right students. Technosoft CRM for Higher Education allows you to maximize your student recruiter productivity and performance, increase yield, and gain a 360° insight on your prospects. Your students are your brand ambassadors. Connect with them, build a community of advocates that are proud of your institute by listening what matters most to them and respond by showing that you’re not only listening, but also taking action. Identify at risk students and pro-actively engage them, interacting with personalized and relevant communications, and prevent drop out. Technosoft CRM for Higher Education helps you get a 360° student view, provide smooth integration, and give you the chance to engage with your students, turn your interactions into meaningful connections that keep them active members of your community. It can be tough to keep in touch with your alumni. By maintaining social engagement and consistently keep them updated through social channels for your alumni groups, you’re giving former students and potential donors the opportunity to connect on their terms. 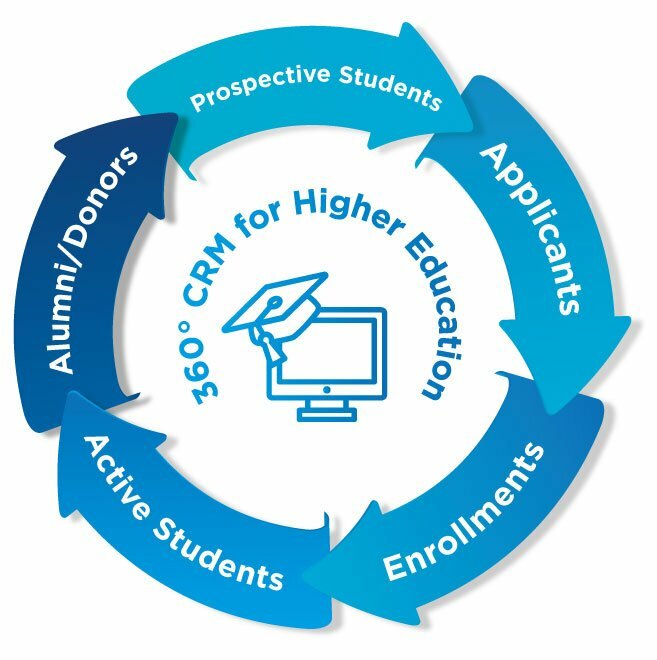 Technosoft CRM for Higher Education can help you build long-lasting alumni relationships, increase fundraising, and report performance results. Automatically create and manage comprehensive activity profiles for any student that visits your website, receives an email, or gets uploaded to your database. Track responses to specific campaigns and align interests and needs to content (Campaign Response). Create engaging apps with power apps and power flow. Drive engagement with sharable social content on community using Microsoft 365 Portal (Customizable Communities Portal). Turn institution’s big data into big impact. Create a data-driven culture and improve student success with Power BI. Contact our Technosoft Sales Team to get pricing and we’ll help you find the right business solution for your needs.